Micah Martin wanted to give fellow musicians a place to come together in the name of camaraderie and rock 'n' roll. Rather than rent space elsewhere, Martin decided to turn his own five-acre property into festival grounds. Five Acre Fest will be held Saturday at Martin's home in Upper Mount Bethel Township. Five Acre Fest will feature performances by Roi and the Secret People, Dear Anna, Signs of Madness, WethePeople, Leah Marie Fuls, Mosey Beat, Emily Noel, Spicy Ramen, Sympotico, Hellings, and Martin's band, hard rock outfit The Crowning. The event will include children's activities, space for camping, and will be held rain or shine. "It's a great big party is how we look at it. I'm looking forward to seeing a bigger community of people coming out in support of local, regional music," Martin said during a June 18 phone interview. "For me, it's always about meeting new people and making new friends. I think it's a cool way to connect the community with the music." Admission to the festival is free, though donations are appreciated. Martin was inspired to put on Five Acre Fest after the success of last year's "Rocktoberfest" event, a private concert he staged in October 2017 for friends and family. "Fortunately, I think we've landed on a really solid lineup and we're really excited to see how this thing goes," he said. "I think Roi and the Secret People and Hellings are going to be crowd favorites. Both bands put on a fantastic shows." 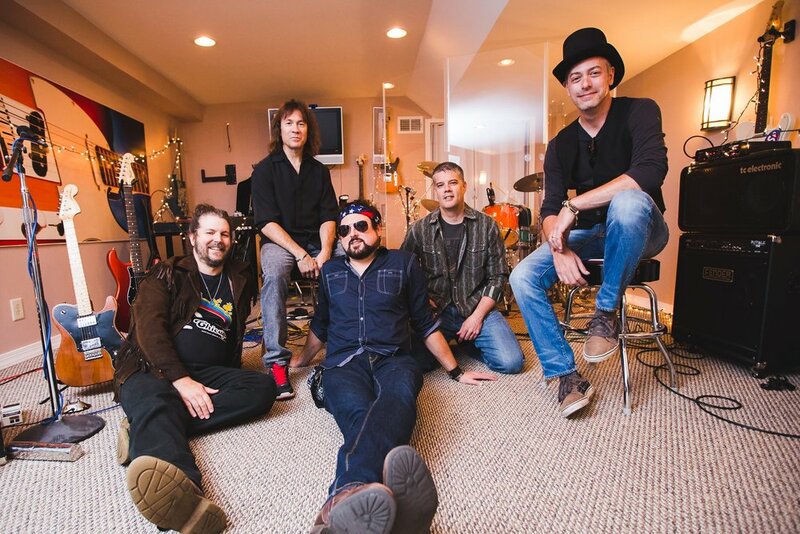 For jam-fusion band Mosey Beat, drummer Blair O'Connor said the group will be mixing up their set with a rhythmic balance of original and atmospherically-attuned covers. The band is supporting their new EP, Back to the Roots. "We're really excited to get up there and play music for the people; try to get them loose and bring people together," he said. "If I can put a smile on someone's face while I'm playing drums, then I've done my job." Vocalist-guitarist Taylor O'Connor added, "It's definitely going to be an awesome opportunity, so it's really cool being a part of it." Since their formation in 2017, The Crowning has released the six-song EP Red, garnered interest from record labels overseas and stateside, signed a licensing deal with NASCAR, and has received airplay on close to 200 terrestrial and non-commercial radio stations. In late August, the group will head into the studio in late August to start recording their full-length debut album. Martin said the band will travel to Austin, Texas, in 2019 to perform during South by Southwest. "We've just been growing and chugging away and building a solid (fan) base... We've got a lot of great new songs that we're super excited to get out," Martin said. "Our first year together was pretty damn successful for not being (well-known)." Five Acre Fest will be held Saturday in Upper Mount Bethel Township. Visit the event's Facebook page for more information.